This year's Nobel Prize in Physics has been awarded to Takaaki Kajita and Arthur B. McDonald for their part in helping physicists to better understand ghost-like particles called neutrinos. Their discoveries changed our understanding of how the world works at the smallest scales, and point towards a new understanding of the Universe as a whole. 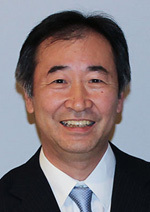 Takaaki Kajita. Photo © Takaaki Kajita. When you split nature into its smallest components, you eventually arrive at a point where you can't break it down any further. You have arrived at the elementary particles, which are indivisible and together make up everything we see in the Universe around us. The atoms that form the chemical elements are made of particles that have an electric charge. They interact with other charged particles by being attracted or repelled. But there are also particles that don't have an electric charge. They rarely interact with other particles and they don't form part of atoms, which means that they are rarely detected. These are the neutrinos. Although it's hard to detect them in experiments, neutrinos are all around us. The Earth is constantly bombarded by them and at this very moment thousands of billions of them are passing through your body. The theory which describes the elementary particles and their interactions through two of the fundamental forces, the standard model of particle physics, takes account of neutrinos. Originally it required that these ghost-like particles have no mass at all. There was a problem, however. Physicists were able to calculate how many neutrinos they should be observing in experiments on Earth, but the number they actually did observe was far smaller than theoretical predictions. 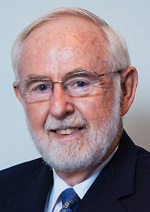 Arthur B. McDonald. Photo: K. MacFarlane. Queen's University /SNOLAB. Using separate experiments, Kajita and McDonald explained why. The neutrinos hadn't gone missing, but they had changed their identities, flipping from one neutrino-type to another as they travelled to Earth. This change is only possible if neutrinos have a tiny, but non-zero, mass. The discoveries therefore provided the first evidence that the otherwise incredibly successful standard model wasn't quite complete and that our understanding of the fundamental building blocks of nature needed to be revised.